Here we have Rosalie who has the grand opening of her long-sought-after cafe. And what happens? Friend Doris stumbles in all agog that her sister is being accused of murder! Rosalie is no stranger to crime investigation, so she gets right on that, much to the sheriff’s chagrin. While Rosalie tries to find the real murderer, she’s also managing employees, keeping track of her health, being a mom, hanging out with the farmer who leases her land, and keeping a bad guy out of her hair! 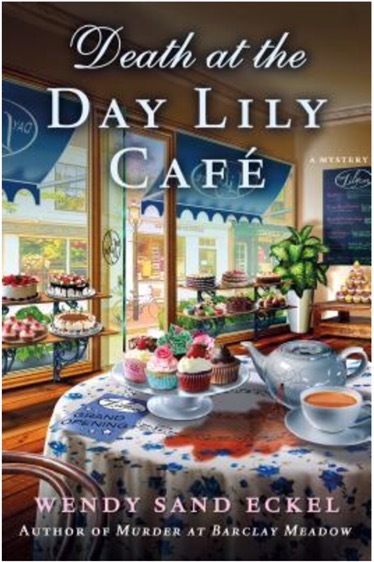 This is a cute cozy mystery that also includes romance and family secrets. It’s second in a series, and I didn’t read the first one… so it was hard to feel engaged with all the characters right off the bat. However, I did love the cafe setting, Rosalie’s daughter, the farmer, and the lovely cook!